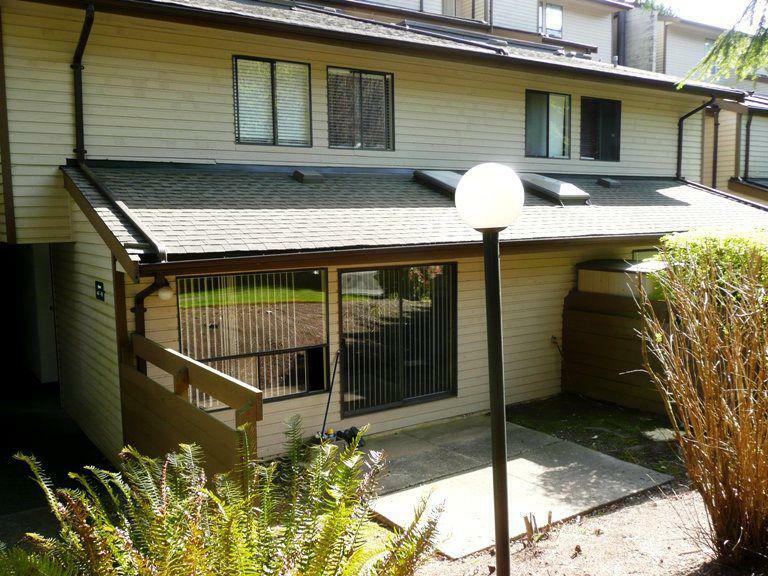 Rossmoor in Burnaby North was built in 1982, located at 9101 Forest Grove Drive. Contains 2 floors and 55 units. Located near the crossroads Ash Grove Crescent and Forest Grove Drive. The Rosmoor is walking distance to Canadian Pizza Plus, Forest Grove Elementary school, ELIC English Language Institute in China Society, Forget Me Not pet Care, Elite Driving School and Active Living Physiotherapy. Simon Fraser University, East Grove Park, Maple Grove Park, Simon Fraser Hills Park, Sears, Burnaby mountain Secondary, Cameron Recreation Complex and Logheed Centre are close by. The bus stops within minutes from the complex. Production Way-University skytrain station is a couple of blocks away, this condo offers the urban convenience every homeowner would be looking for. Building features and amenities include garden, in-suite laundry, playground, outdoor pool, gym, lounge and tennis court. Most homes offer cozy wood burning fireplace, storage, private backyard, garage, private patio, laminate floors and spacious rooms. Rossmoor is sure to impress. Find your home in Rossmoor today!